The Democratic Media Complex is once again suffering hysterics, pulling out its hair and screaming over the release of the House Republican report, aka "the memo." The memo alleges abuses by top officials of the FBI and the Justice Department in their investigation of President Donald Trump and suspected Russian collusion. Democrats are furious and say the memo is incomplete, full of lies and half-truths, and they're busy telling their followers not to read the memo, while heaping hate on one of the authors, House Intelligence Committee chairman U.S. Rep. Devin Nunes. Democrats, the FBI and the Justice Department argued that the memo should not be made public, because it endangered national security. But after reading it, those claims appear to be nonsense. Asked about the political hate coming his way, Nunes said, "It's actually quite enjoyable. You know you're over the target when you're being attacked." Each side wants to convince Americans that they're on the side of the angels. But if you look for angels in politics, you are apt to be driven mad. What if it came out that a Republican-funded opposition research dossier against presidential candidate Barack Obama was used to obtain a secret FISA warrant to put Obama's aides under surveillance and take him down? And what if the federal judge who granted the warrant wasn't told that the partisan oppo-research was the basis of the surveillance warrant? Or, what if senior FBI officials running the investigation of Obama had expressed loathing for the candidate and his voters? What would the Democratic Media Complex be doing? About the same thing they're doing now, pulling out their hair and screaming like banshees, and wailing about institutional racism and the usual litany of complaints. They'd shriek that the federal FISA judge was lied to by the Deep State to chop the legs from under a president, and that the country is going to hell and the Constitution is being trampled. What we're looking at is politics. It was politics when the political left loved WikiLeaks boss Julian Assange, back when he released sensitive information, even though it undercut American foreign policy. He was a hero then. But he was hated later, when his work involved Democratic National Committee emails. Then Republicans loved him. Republicans were once adamantly in support of the FBI, the CIA and some of the other shadowy agencies with great powers to watch us and to monitor our phones, to listen to what we say in the interests of security and to ignore or avoid the Fourth Amendment. And Democrats were once adamantly opposed to even suspected abuses by federal police and the intelligence agencies -- what is now called "the Deep State" -- and they railed against those who'd step on American civil liberties in a political hunt. But now, Democrats are the champions of shadow warriors in the CIA and the FBI, arguing that we must not challenge these agencies at the risk of national security. And Republicans hammer at the FBI -- whose leadership they once respected -- including former FBI director Robert Mueller. 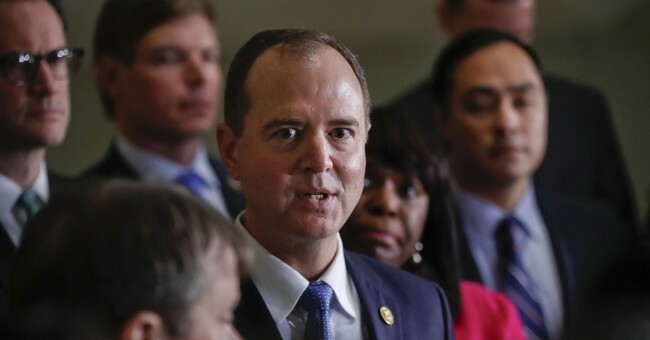 Now that he's special prosecutor investigating Trump, his final report could provide a political basis for Democrats to impeach Trump, should they gain control of Congress in the 2018 midterm elections. So we're in the Upside Down now. You see how this goes. You can see where it's going. The best thing to do in this business of the president and the investigation and the memo is to have everything released, all the information, and hope that the American people actually care enough about their country to read it, rather than accept the spin by some that it's a nothing burger, and the spin by others that it's a book of revelations. Americans should read the Republican memo, and also read the complete rebuttal from the Democrats that is sure to come. And also read the Department of Justice inspector general's report that is being compiled about this matter, and is reportedly digging into any FBI political bias in favor of Hillary Clinton when she was under investigation for tens of thousands of emails, some classified, on her private server. What would be best is if we could all read the FBI's FISA application used against Trump, which Republicans allege was based on opposition research done for the Hillary Clinton campaign and the Democratic National Committee. If this is, in fact, true, then it is an outrage and an assault on our freedom. If it is not, we best know it quickly. Getting all this out in the open is preferable to relying on whispers and leaks from shielded investigators to political hacks. And while the partisans are either pro-Trump or anti-Trump, there's something else that may be even more important. It's the argument -- once offered by big-government Republicans and now cleaved to by big-government Democrats -- that we shouldn't challenge the huge federal bureaucracies that spy on us, and watch us. The only branch of our government to have proper oversight is Congress. And the only real answer is sunshine, so we may see to make up our own minds about how our country is governed. Supreme Court Justice Louis Brandeis put it best: "Sunlight is said to be the best of disinfectants." But in the damp swampy shadows, where there is little sunlight, infections tend to grow.